Which is the most important tech device in your home? Looking beyond what's likely to be an array of frivolous gadgets, it's safe to say that the core essentials are what matter most - the boiler, the oven and the kettle (I'm standing by that one). These are the items we take for granted everyday, and should one break down, there's a very real chance someone in your home will descend into a state of panic. And when you think about it, you could argue that the Internet router should be included on that list. 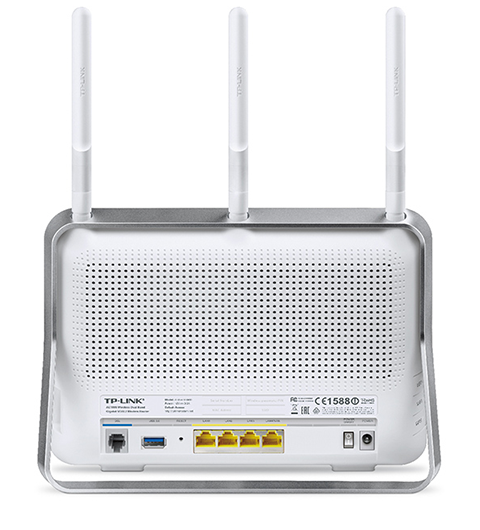 Web connectivity has become an integral part of our lives, and the humble router plays a central role in dolling out megabits to our growing collection of connected gizmos. 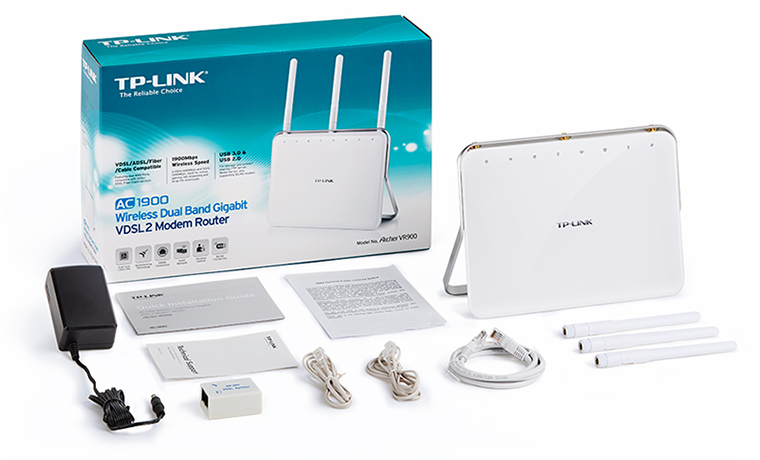 Yet, despite its importance, the router is a lot like a bank account in that you probably got one for free at some point, and though it's relatively basic, you don't feel any real urge to change. But should you? To find out, we're taking a closer look at the TP-Link Archer VR900, a premium £140 dual-band router designed to work with any kind of Internet connection. 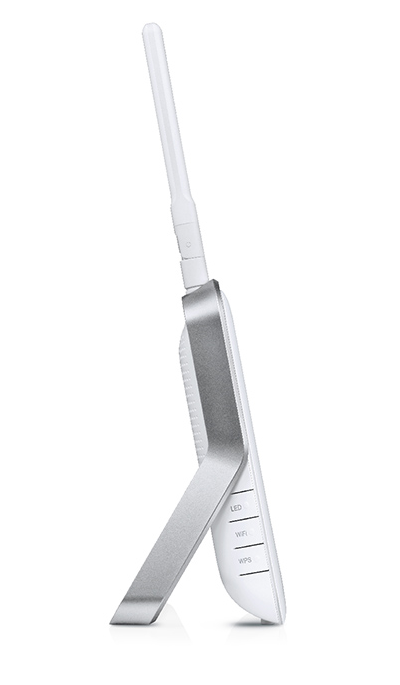 At this price point you expect a router to be beautiful, and the Archer VR900 would have been stunning were it not for the trio of large antennae sticking out of the top. That seems to be an unavoidable trade-off in routers seeking high-end performance, but even so, the TP-Link unit does look smart. 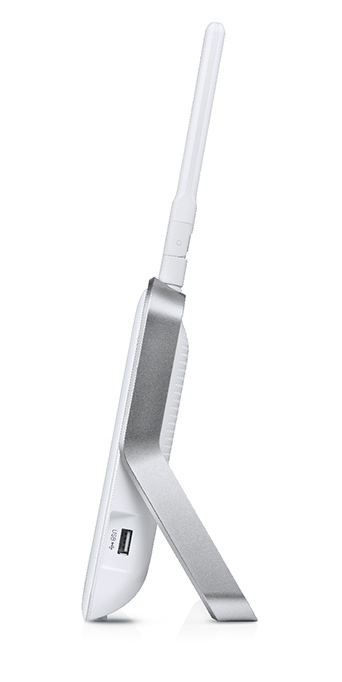 The shiny-white body is surrounded by a silver stand and, though the construction is largely plastic, it comes across as a modern and stylish piece of kit. Dimensions of 245mm (W) x 90mm (D) x 181mm (H) make the router larger than most, though do be aware that total height can increase to almost 325mm with the antennas pointing straight up. 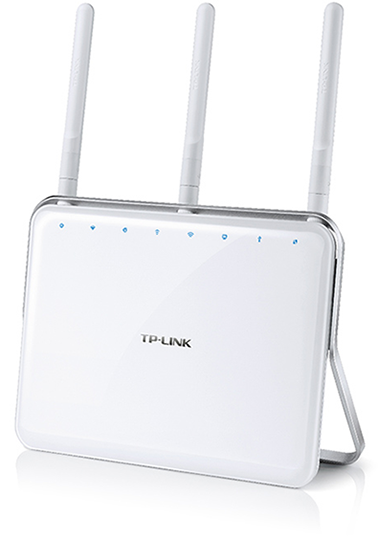 Optimal orientation will depend heavily upon each user's specific deployment, but TP-Link recommends "the outside two antennas be outward at about 30 degrees." Lining the top of the VR900's front fascia are a total of eight LED status indicators. There are too many in our estimation - who could possibly keep track of the 20-odd unique notifications? - but as a general rule of thumb, if the light is on and it ain't flashing you should be good to go. Better still, if you deem the blue lights nothing more than a distraction, they can be turned off entirely by holding the LED button on the side. WiFi connectivity and WPS support can also be toggled in this way. As you might have guessed, the bulk of the activity takes place around back with multiple I/O ports highlighting the fact that this router is more capable than most. One of the most appealing features is the VR900's compatibility with a multitude of Internet service providers. 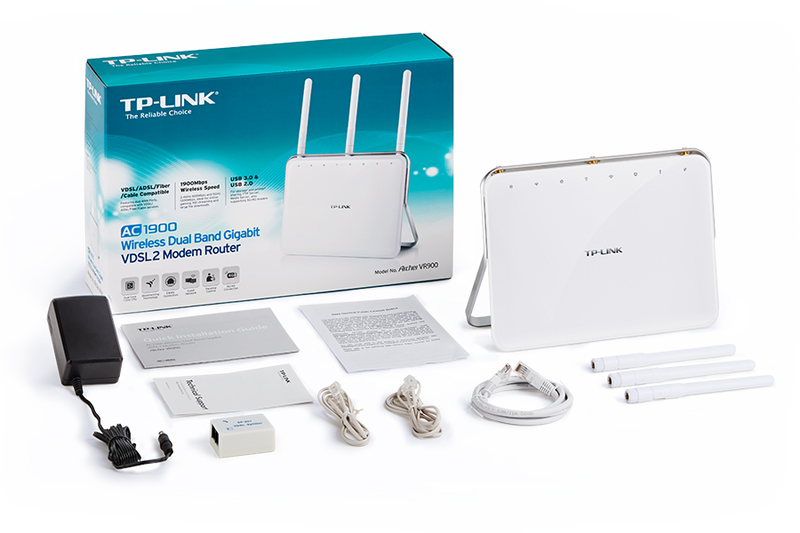 Minimising clutter, the router features an integrated DSL modem that supports VDSL, VDSL2, ADSL, ADSL2, and ADSL2+. This means that an external modem isn't required in most cases, and whether you're using a basic ADSL service or, say, high-speed BT Infinity, you can plug straight in. It's handy having the flexibility, and a Gigabit WAN port also allows pairing with a cable modem, so you needn't fret about migrating to Virgin Media or a fibre-optic service. All four Ethernet ports are of the Gigabit variety and, as is the case with most modern routers, USB ports are also included. 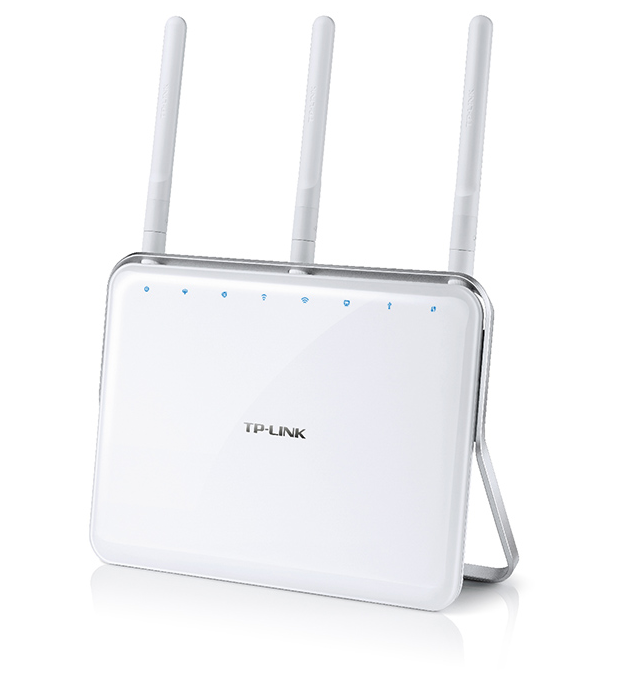 TP-Link includes two - USB 2.0 on the side, USB 3.0 around back - and these can be used to attach a USB printer, share data across the local network or remote FTP, or even add a 3G/4G dongle. The latter is particularly handy in an office environment, with the dongle acting as a fail-safe against broadband dropouts. Everything you need to get up and running is included in the bundle, where you'll find a small power adapter (which if you're being fussy really should have been white), a DSL filter, two RJ11 telephone cables and a single RJ45 Ethernet cable. We've managed to get this far without too much hyperbole, but we need to address the fact that there's plenty of it. 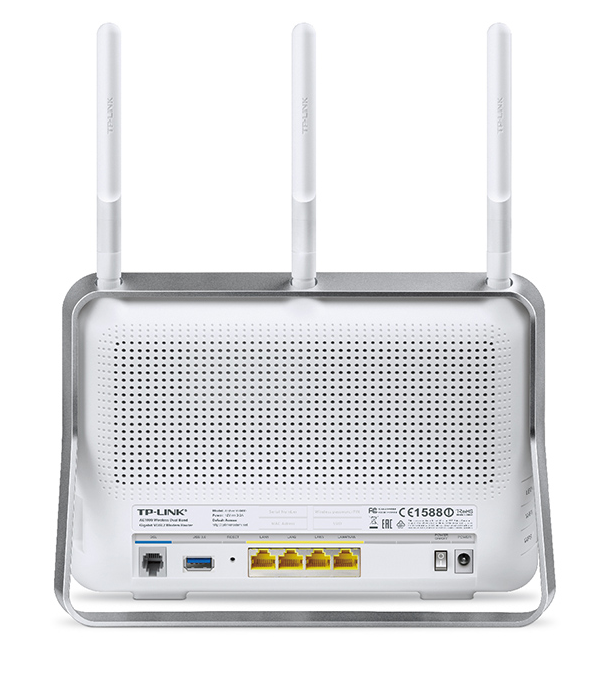 If you think your ISP's claimed broadband speeds are a stretch, wrap your head around this: according to TP-Link, the VR900 is capable of delivering WiFi speeds of up to 1,900Mbps using advanced technologies such as beamforming, which locates your wireless devices and "forms targeted, highly efficient wireless connections." Reading between the lines, what you actually get is 600Mbps on the 2.4GHz band and 1,300Mbps on the 5GHz. That's a perfect scenario, but in the real world of congested WiFi networks you're almost guaranteed to see lower throughput. The marketing should be taken with a pinch of salt, however with a dual-core 1GHz Broadcom processor under the hood and antennas boasting gains of 3x2 dBi on the 2.4GHz band and 3x3 dBi on the 5GHz band, there's enough reason for optimism.